It would be difficult to make an unaffecting film about Vincent van Gogh – the figure of an overlooked genius cut down in his prime being a particularly poignant one – and perhaps harder still to make a movie about his final days that doesn’t veer on the maudlin side. However, Loving Vincent, an appropriate title for such a glowing memorial, is true to not only the visual but the emotional style of the artist’s work, refusing to depict the immense pain of his life without also considering the beauty and warmth of it. The film follows Douglas Booth as Armand Roulin, tasked with delivering Van Gogh’s final letter and soon sucked into investigating his death. A cipher for the audience, Armand begins the tale thinking of Vincent as an eccentric but soon starts to see him through the eyes of those who loved him as a deeply troubled but kind man. As a straightforward mystery, the story is not especially gripping, since the stakes are low and any conflict is manufactured and without consequences. That said, the several big names attached to the project manage to make somewhat clumsy writing forgivable and this is, furthermore, not a movie in which the narrative is the main point. 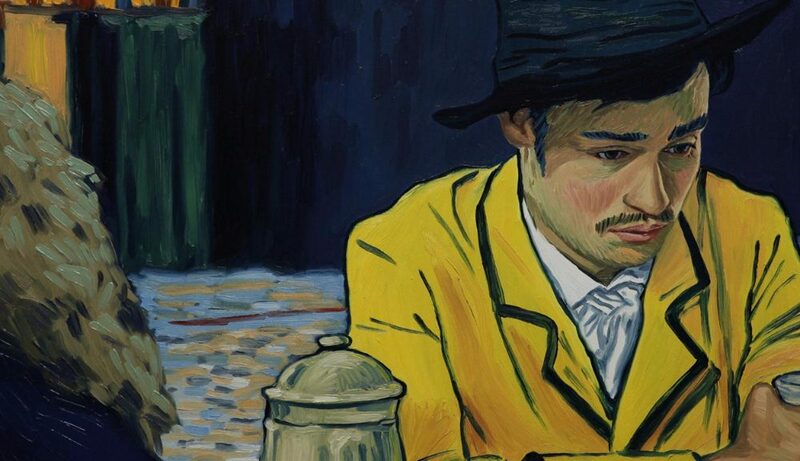 Loving Vincent bills itself as the first fully painted feature film and it is primarily for this reason that it is worth seeing. Each frame is an oil painting on canvas, requiring a team of over 100 painters, and imitates Van Gogh’s famous style – except in flashbacks, which are monochrome and tend more towards realism. Interestingly, it is in these flashbacks where some of the most stunning sequences of the film take place, perhaps because the constant movement of the more stylistic scenes can be a little distracting at points. Everything in these sequences flickers with colour, including stationary objects, in a way that gives the picture a vivid and impressionistic atmosphere but also makes the few static images jar somewhat. Still, it is hard not to be mesmerised in the face of such a masterfully crafted piece of art and it is perhaps the only fitting tribute possible to Vincent van Gogh’s legacy. 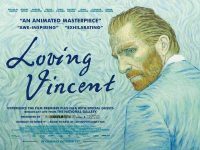 Loving Vincent is released nationwide on 13th October 2017.